Quality hand stitched finish, beading detail. Book a Shimmering Ivory Consultation Today ! 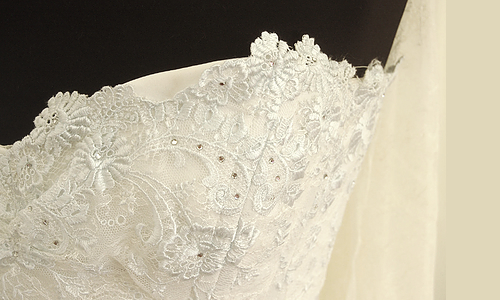 Shimmering Ivory couture gowns are all individually designed and made for you. Each dress is unique and especially hand- made to order in Harpenden in the UK from an exquisite selection of European laces, silks, embroideries. and swaroski crystals and pearls. Prices start from £2,900 for a wedding gown. Eveningwear and mother of the bride outfits start from £1,500. 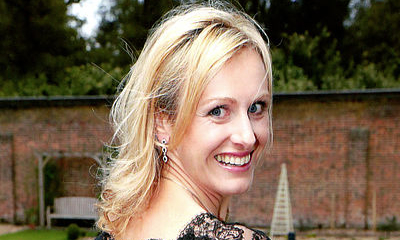 Sian’s personalised and welcoming service will allow you to express your desires for you own designer wedding dress. 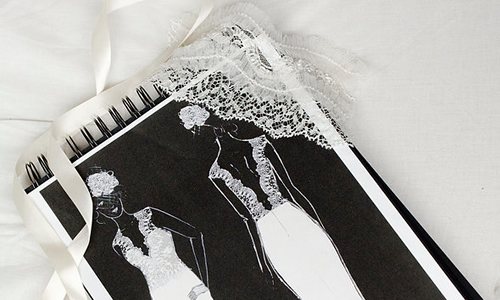 Sian will sketch up several ideas for your dress and together with you select from the stunning fabrics and trims to create your dream wedding dress design. Your measurements are taken to make up a toile (a mock up in cotton of your dress) The toile will be fitted and altered giving you chance to realise the shape of your design.